The time it took for my brother to get our new Super Nintendo out of the box and connected to our television couldn't have been more than five minutes. I'm pretty sure we used the same coaxial cable connector that the NES before it used, though it's possible he was bold enough to forge a new connection dedicated to the SNES. The time between when he arrived home with the console box and a copy of Super Mario World, and when we saw Mario's astonishing level of detail, was extremely short. Open game console box, plug in game console, insert game, play game -- pretty simple. I'll never forget the yellow on Mario's cape! Today's kids don't have it so easy. The anticipation while waiting for holidays or birthdays or while saving enough allowance has turned into anticipation during firmware updates or software patches or mandatory installs, and all manner of nonsense. Even for those of us who grew up with PCs, the state of modern game consoles is a sad one when it comes to what's inside the packaging representing what the outside says. This is all the internet's fault, as most things are. I'm joking! Partially, anyway. It's really internet ubiquity that's to blame for game publishers and console makers leaning on day one updates. With most buyers living in places with relatively strong connectivity, games can launch without, say, multiplayer, and consoles can launch without the ability to even play games. 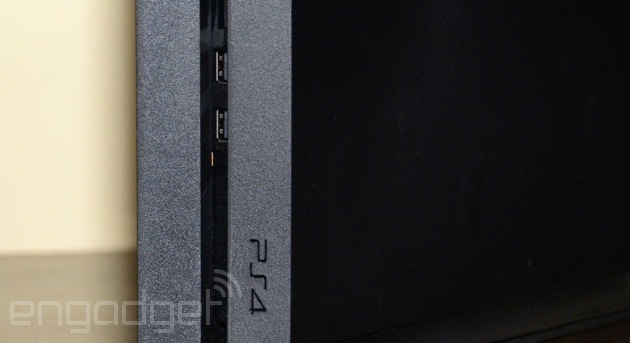 It might sound nuts, but it's the story of the now-current generation of game consoles. Last year's Wii U was the first home game console to require a patch straight out of the box, and it was a hard pill to swallow. If your internet happened to be out the same day you got a Wii U, you couldn't do anything beyond play disc-based games and create a Mii. Literally zero other things. Considering most of those functions were internet-based anyway, the internet-less would be skunked regardless of the required patch -- the real crime was having to spend an hour or more downloading a patch even if your internet connection was flawless. That hundreds of thousands of people spent at least $250 apiece on an electronic device that didn't just do what it claimed to do out of the box is relatively unprecedented. Even modern computers are new to the idea of mandatory online updates before use, and only in the past few years have smartphones and other mobile devices made the practice a standard. And of course, with game consoles, the last generation normalized game patches, console firmware updates and OS upgrades. For several years, it's been perfectly acceptable to launch a $60 game with a required day one patch. Apparently that mentality now applies to game consoles. Beyond the day one update for Wii U that added everything from the online store to Nintendo's MiiVerse social network, the console's Nintendo TVii service didn't arrive for another month after launch. The day one patch (and beyond) wasn't the only misstep that led to a console launch widely perceived as disjointed, but it assuredly contributed. The PlayStation 4's day one patch -- a measly 323MB file -- helped take down Sony's PlayStation Network servers intermittently last Friday and over the weekend. 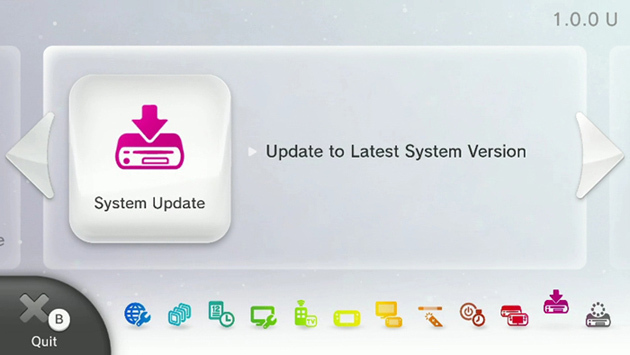 Like the Wii U before it, the PS4 only plays disc-based games out of the box -- all other functionality (including Blu-ray movie playback) was enabled by the launch-day patch. Worse, reviewers only got the patch around 12 hours before many reviews posted. Since we had such little time to use the actual PlayStation 4 console experience before telling you about it, we held our PlayStation 4 review for an extra 24 hours: We'd otherwise have a piece full of holes, caveats and cursory impressions. And that's simply not a piece we felt comfortable calling a "review." For new owners last Friday, the PlayStation 4's first greeting was an internet connection wizard and a progress bar -- far from the magic of instant Mario, or even the Game Boy and Tetris. No Remote Play, no PlayStation Store, no Share button functionality: The day one patch enables all of PlayStation 4's important functionality outside of playing disc-based games. Rounding out the shameful trio is the Xbox One's launch-day update, about which Microsoft tells us, "You will be able to do very little without taking the day one update." 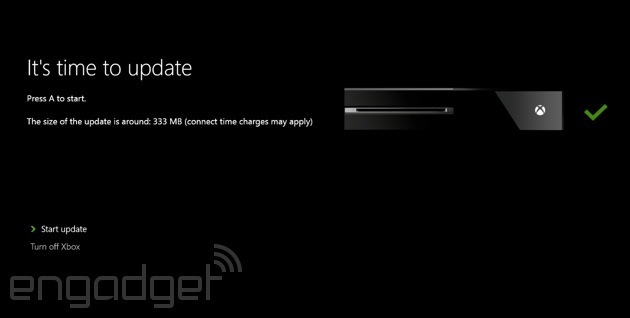 That means not even games on discs will run, not to mention any of the system's more advanced functionality. It's not even clear what version of the Xbox One OS will come pre-loaded on consoles, only that it'll be older than the version Microsoft's calling ready for consumption. Microsoft's day one patch example is the most extreme of all: You're paying for a $500 paperweight until that day one patch comes through. Again, your first meeting is with an internet setup wizard and a download screen rather than the game console's OS. The situation improves dramatically after that, but it's a poor introduction to an otherwise very nice console. That all three game console manufacturers took the same approach to launching with required patches shows a dramatic misdirection of priorities. Yes, most people have the internet and will put up with the hassle, but they shouldn't have to. Asking people to spend upwards of $500 on a game console and then asking them to wait for a day one patch is at the very least inconvenient, and at most a serious miscalculation. The situation will improve as newer systems are built with newer software built in, but for now, the magical experience of getting a new console and playing it immediately is going to have to remain a memory.